Since 2011 Raymond Elwood Howard Lear has posed as an Internet Messiah namely, Lord RayEL and has both an online cult following and Facebook Congregation, The International Congregation of Lord RayEL. The Cult headquarters is Sanctuary Interfaith located in Baja, Mexico ( Just over the United States border) and is run by CJ Issacs and Selena Scott whom are both benefactors of this (non-profit) religious organisation as stated on their website. 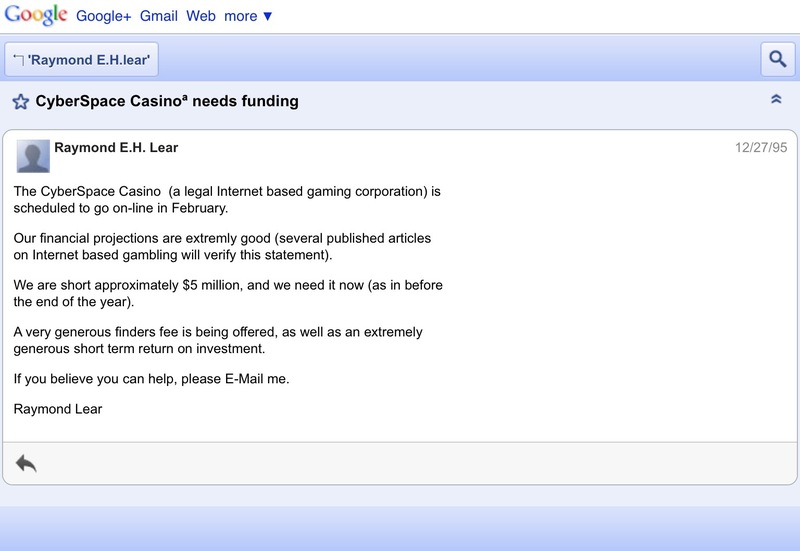 This blog aims to shine a light on the online scams that are associated with Raymond Lear. On Wednesday, December 27, 1995 at 8:00:00 AM UTC, Raymond E.H. Lear posted in two Google Groups. Previous Previous post: Rev. Dr Raymond E H Lear is Lord RayEL? Another Internet Scam!